Love tokens were often made into pendants, pins, bracelets, watch fobs, earrings, necklaces, cufflinks, buttons, and other pieces of jewelry. 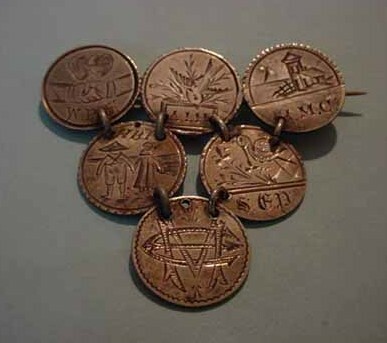 Love token jewelry was very popular and that is why most love tokens have holes in them or traces of solder. Some of the jewelry broke through time or the findings were removed at a later date. The type of jewelry that love tokens were fashioned into dictates the placement of holes or loops. Earrings and pendants have a hole or loop at 12:00. 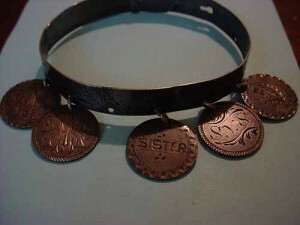 Some bracelets also had hanging love token charms with this single top hole. Stickpins could hang from a loop but most were soldered on the reverse at 12:00. Some earrings also had soldered ear wires placed the same way as the stickpin. Pins had mountings on the reverse at 3:00 and 9:00 while bracelets had holes in those positions with joining jump rings. Some bracelets had a set of four holes for added strength and stability. It is the seeming random placement of holes that can throw collectors for a loop. It is not until one sees a triangle pin that the placement becomes clear. From 1840-1850 very little was worn during the day. The ears were covered. Jewelry was limited to hair ornaments, brooches, and bracelets. Bracelets were the most common. 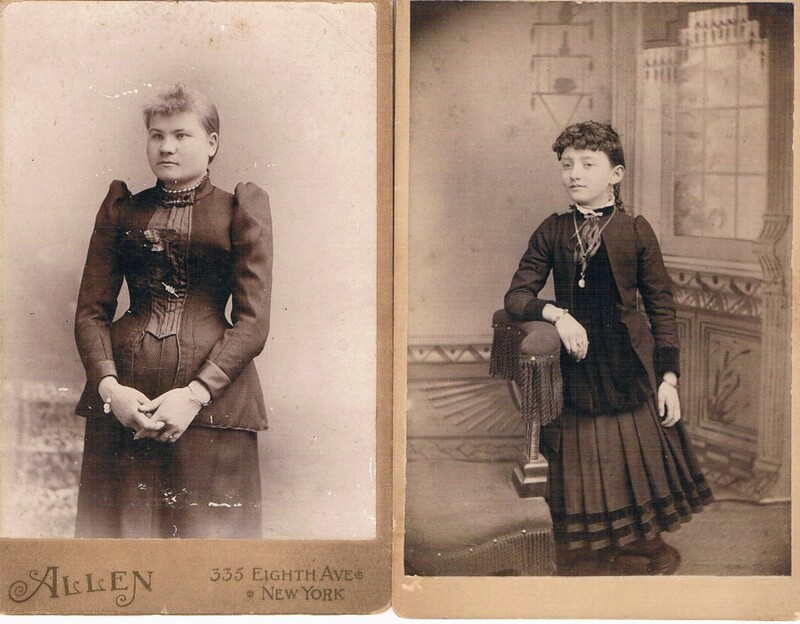 Women often wore (5) at a time, two on one arm and three on the other. 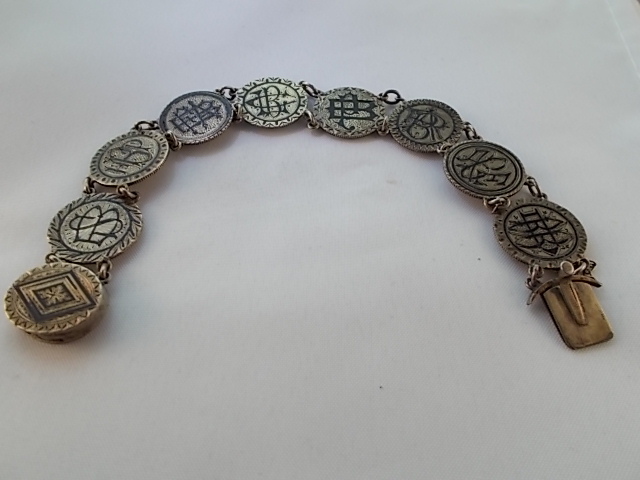 The most common love token jewelry items found today are pins and bracelets. Silver jewelry was high fashion during the 1870’s through the late 1880’s. 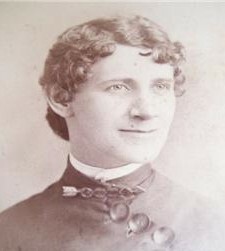 By 1890 silver was “out-of-fashion”. For this reason, one will find that love tokens on coins dated after the Columbian Exposition (1893) are not too plentiful. While looking at each token, try to imagine what the engravings on each of these pieces may have meant to the person who received it. 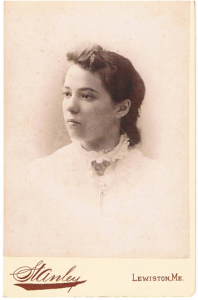 The sepia toned antique photos on this site will provide images as to how these people looked and fashion of the times. Photo at left of woman wearing this actual pin. A rare find to have them united.